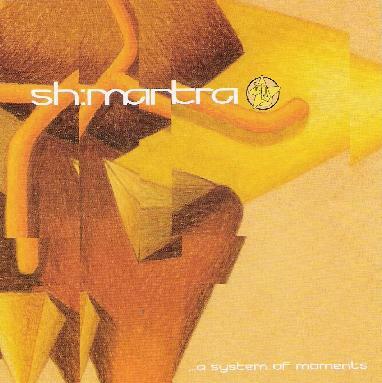 Sh:Mantra - "...A System of Moments"
I must say, …A System of Moments is a brilliant CD from this group of Australian musicians. I haven't had the pleasure of hearing their previous CD's yet, but reading their reviews here in AI, I would say this stacks up as another quality release. ...A System of Moments falls somewhere right in the middle of progressive rock, psychedelia, and stoner rock. It reminded me of early Porcupine Tree, but with less flashy guitar soloing and a more overtly weird and psychedelic sound. Touches of King Crimson and Pink Floyd also shade the work. But this isn't retro music. It's edgy and modern stuff without being too modern. No glossy production or programmed stuff here. Sh:Mantra find a nearly perfect balance between structured and unstructured sound. Vast aural landscapes ebb and swirl…seas of sound, but with rhythm and melodies bubbling to the surface, pulling it all along like a languid cosmic river. Sometimes it's mellow and dreamy, other times heavy with a good deal of psychedelic glitches and sonic sludge. It's a sound that just encompasses you. Lengthy cuts like Glacial Shift and Ninety-Nine Suns are certainly big enough to get lost in for a good while. They are punctuated with shorter moments of dreamy ambience, like the album opening track Play, and the organ drenched, early Floyd-like Wake Me When It's Over. And while a majority of the album is instrumental, along the way a few somewhat more song-oriented pieces emerge, like the lovely acoustic Alternate Ending or the weird and ghostly Seacake. All in all, this is a thoroughly enjoyable album for music fans that like it a little slower, a little sludgier and with lots of space in their rock. Highly recommended! For more information you can visit the Sh:mantra web site at: http://www.shmantra.net.